No birth place or date for Acton Sillitoe has been found in NSW, suggesting that he was born in England. Acton Sillitoe married Sarah Ball on 28 January 1836 at Saint Clement Danes, Westminster, London, England. Their first child Acton Windeyer Sillitoe was born on 12 July 1840 in Sydney. A daughter Rosalba was born in 1842 and a son in May 1844. In 1885, Sarah Sillitoe, possibly his widow, married Angus Bannerman in Kempsey. In July 1840, Acton Sillitoe Esquire was a merchant in Phillip Street. In April 1842 he was an actuary who was criticised at a meeting of the Mutual Insurance Association but was re-elected actuary in August. In January 1844 he advertised boxes of tea for sale at his King Street premises. He was chairman of the general meeting of the Proprietors and Assistant Drapers held at the School of Arts in October 1844. 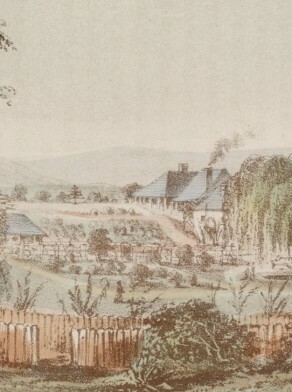 In the late 1840s, he built The Willows in Darling Point Road. He won a prize at the Floral and Horticultural Exhibition in January 1845 and was credited with introducing cork oaks to New South Wales. In June 1852 he was declared insolvent. Acton Sillitoe was a Trustee of St James Church in 1848 and in 1850 contributed to the Church of St Paul, Pennant Hills. Acton Sillitoe became an Assessor for Brisbane Ward for the City Council in September 1842. He was elected a Foundation councillor for Bourke Ward, 1 November 1844 to 31 October 1848 and was appointed to the Committee of Public Works.